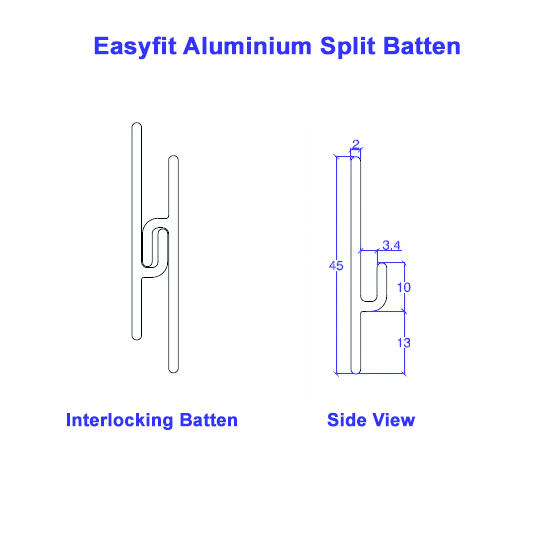 Our New Easyfit Aluminium Split Wall Battens offer an excellent practical way of fixing Wall panels quickly and easily within your retail, work or environment. 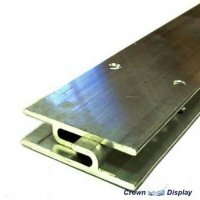 They are discreet with a Wall projection of just 7.4mm ensuring maximum attention is on what is being hung rather than the Batten itself. They are a versatile way of attaching a huge range of products and materials, from Slatwall panels, Decorative wall panels, photographic Images, Exhibition displays to interior and exterior signage, also perfect for hanging tool storage in a home garage! Whatever the purpose hanging heavy items on a wall can no longer be a problem.